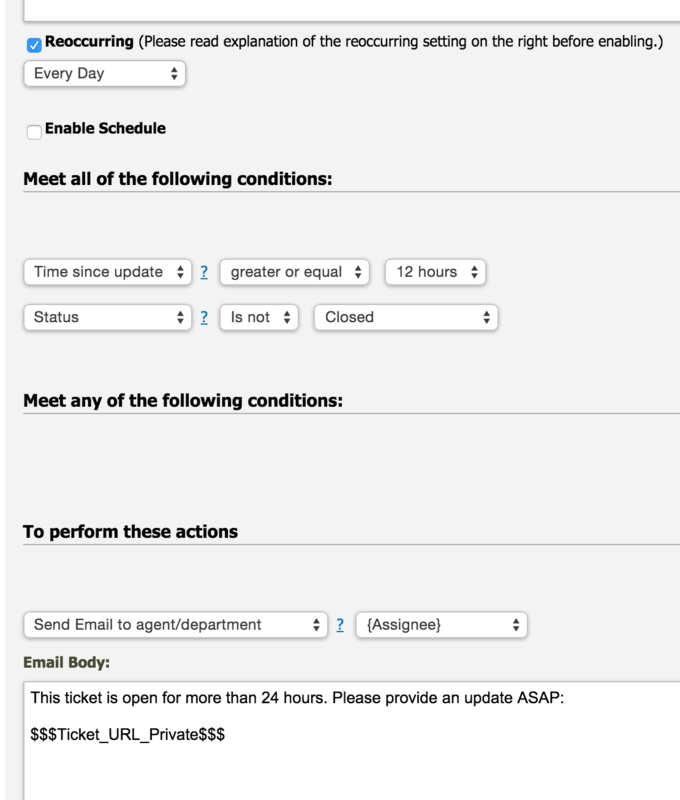 How do i setup reminders for my agents to resolve / provide update to tickets assigned to them per my SLA? To setup reminders for open tickets for agents to provide update / resolve assigned to them tickets per your organization SLA please use reoccurring triggers. Enable "reoccurring" flag and select frequency: Hourly, Daily, etc. Select action for the trigger to do if conditions are met such as "Email assignee","Add tag" , "Change category", "Change priority", etc.